Solo and small firm lawyers have plenty of things keeping them up at night—now they have to add fraud to the list. 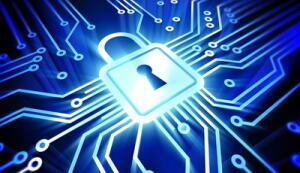 Cyber security is high on the priority list of businesses worldwide. As an attorney it’s important to be proactive in protecting valuable client data as well as ensuring business transactions are secure. 1. Adopt procedures and protocol and ensure staff is properly trained on both. b. Be wary of attachments to links and contained in emails. These are some of the most common delivery methods of malware. 3. Internet browser: Disable pop-ups. 4. Install malware and update it, and make sure operating systems, programs and applications are updated. 5. Use strong passwords and protect and change them frequently. 7. Use a firewall. More recent versions of Windows and Mac operating systems have built in firewall protection. Enable it. 8. Avoid using public Wi-Fi when viewing or sending client data and information. 9. Restrict access to sensitive data, both physically and electronically. 10. Do an Information Security Assessment periodically. It’s imperative that you’re proactive when it comes to cyber security and protecting your data. As technology evolves so do the tactics of hackers looking to break through your system’s firewalls. Lawyers Mutual recognizes the threat of data breaches and the importance of providing resources to our insureds to help them protect their firms. Have you considered cyber insurance? Our agency, Lawyers Insurance, can help you learn more about cyber coverage. Find out more about cyber security coverage for your firm here. Our website and A Byte of Prevention blog are great resources for cyber alerts, articles and posts. Be sure to view our Data Breach Incident Response Plan Toolkit to ensure that your firm has a plan in place to protect you and your clients.